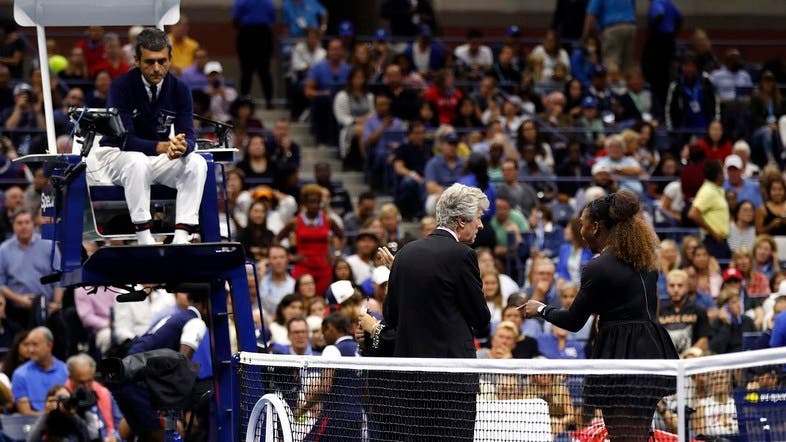 The chair umpire who penalized Serena Williams a game in the US Open final has been assigned to officiate the Davis Cup semifinal matches between the United States and Croatia, The Associated Press has learned. The US team includes Jack Sock, Sam Querrey, Steve Johnson, Mike Bryan and rookie Frances Tiafoe. Ramos was in the chair at Flushing Meadows last Saturday when Naomi Osaka won her first Grand Slam title by beating 23-time major champion Williams 6-2, 6-4. That match descended into chaos - with thousands of spectators booing and both players crying during the trophy ceremony - after Williams confronted Ramos about his rulings.